Before we get to today's blog I want to draw attention to correction for Wednesday post. The Weapon that I showed it called the Weapon Skate and not the Weapon SB. Big thanks to "Smudge" for letting me know the real name. I am going to go back and fix it in the post though. Also I'd like to apologize for the extremely late post of today's flashback. I was playing my roommate in NCAA 08 and it got really competitive. Speaking of competition today's shoe is all about competition. 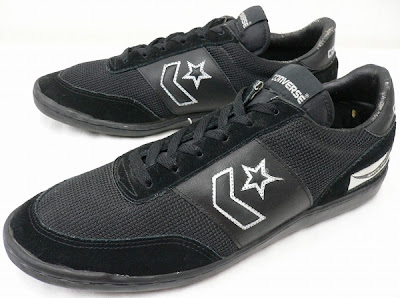 The Converse Martial Arts shoe. These had to come out in the late 70's early 80's, well that's my guess anyway. I don't really know much about them other than they've got to be pretty unique. Again, sorry for the late post, but better late than never. Thanks for stopping in at the Converse Blog. I hope to have a new poll up by the start of the week so stay tuned. I still have 2 pair in white and still use them. They were discontinued around 1999. Light, strong, sole allows spinning, comfortable but not a walking the street shoe. Simply the best overall martial arts shoe ever made. Perfect for class durations, but if you are an instructor and have to wear them all day, I add a foam insole to support the arch. 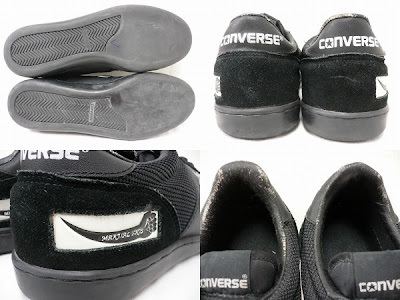 Most MA shoes do not have edge protection and in TKD perhaps thats ok, but for Kempo and other real street fighting styles a more rugged and supporting shoe is better. TKD shoes can wear out in a month. These take forever to wear out, which may be the reason they are not made any more. A Co. named Bushido, sold by Oriental Gateway sells a copy, but I have not tried them. 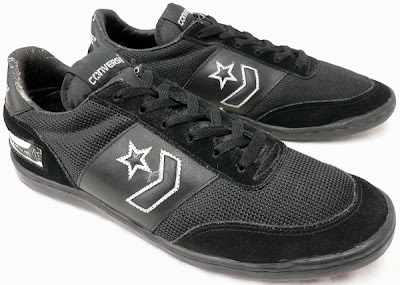 Sure wish they would com back from Converse. Today, I replace them with Addidas Sambas. the only improvements, arch support and eylets to stop the laces from cutting through.